This Mcusta Tactility Series knife features handles made of black Korian and feature a contoured handle with finger grooves. This knife has the 33 layer nickel Damascus steel blade with a VG-10 core. The pivot pin washer system makes the blade action silky smooth. Includes anodized ambidextrous thumbstud for one hand opening with liner lock mechanism. 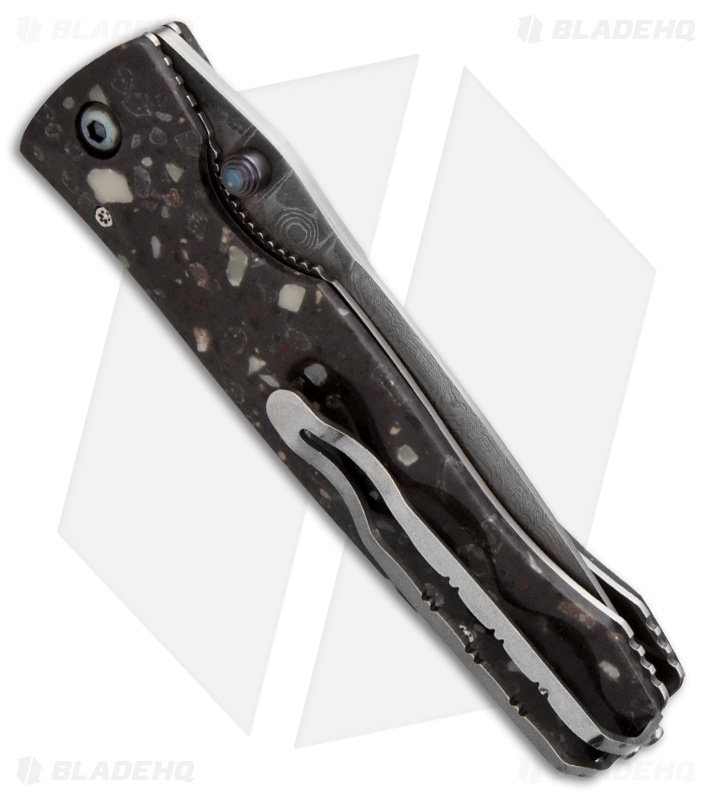 Pocket clip features a decorative script cut out and tip-up design. 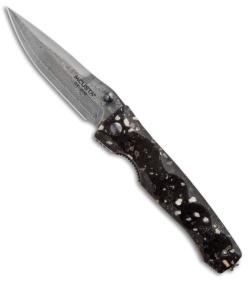 This is an exceptional knife for those that want the best.